Fiat has managed to take home an important recognition thanks to its Fiat 500L . In particular, the popular Italian minivan was named Best Economic Performance by Automotive Science . 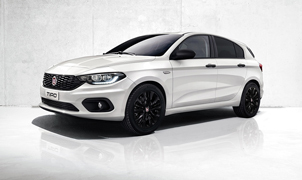 The annual study revealed that the car of the historic brand of Turin, belonging to Fiat Chrysler Automobiles , offers the best value and the best economic performance compared to any other car in its class. Colby Self , Managing Director of Automotive Science , said that the Fiat 500L was able to stand out in the studio with the best economic performance in the category, with the lowest retail price and very low operating costs in such a competitive segment. The jury of Automotive Science particularly appreciated the lower retail cost of its segment, a feature that made it possible to win the minivan. In fact, in the US market, the 500L is offered at a starting price of $ 20,995. Another thing that has managed to stand out is the particularly lightweight platform that allows the vehicle to be very efficient even in terms of consumption. This results in less pollution, greater operational efficiency and reduced life cycle operating costs. Taking into account both purchase and operating costs in the first six and a half years of life, the Fiat 500L managed to overcome its direct rivals and obtain the important Best Economic Performance award given by Automotive Science . As we are planning to launch the new generation of the popular people carrier within the next 5 years, we hope it will do well or even better than the current version.